It’s almost time for the last Third Thursday of the 2018 season! The Downtown Joplin Alliance is happy to announce that Glory Days Rock Band will be playing on the south stage from 5:30 PM – 8:00 PM on Thursday, October 18, 2018. The team at Club 609 and Blue Moon Boutique will be sponsoring the concert. In addition to the concert, there will be food vendors, artists, a beer garden and DockDogs – full of a pet costume contest and fun pet-related giveaways. After you venture out into the crisp October evening, come on into Club 609 for some great food and drinks, all while enjoying the view of all the fun going on outdoors! Our happy hour on Thursdays is from 4 PM to 8 PM – so on top of all of the fun Third Thursday events, you can order our famous Two For One Pours during Happy Hour!  If you looking for a new place to eat and have drinks in downtown Joplin, MO, Club 609 is your spot! We believe that great food and an inviting atmosphere are the foundation to building new friendships. So come on down to Downtown Joplin for the last Third Thursday of the season! For more information about Club 609, visit us at www.club609.com or give us a call at (417) 623-6090.